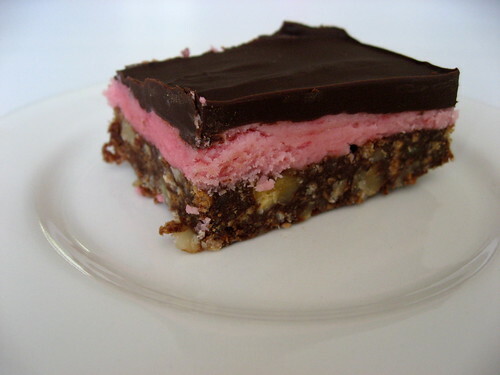 Raspberry Nanaimo BarI love homemade Nanaimo Bar and every now and then I get a serious craving. A while back, I decided to experiment with making a raspberry version. I just added some (thawed) frozen raspberries to the icing layer. It made it pretty and pink and it was so yummy. I like to pick up lost buttons on the street. These are the ones I've found so far. I started shortly after moving to Amsterdam. I think one or two may have been picked up while on holiday, but I decided early on that I couldn't be bothered to keep track of where each button was found. 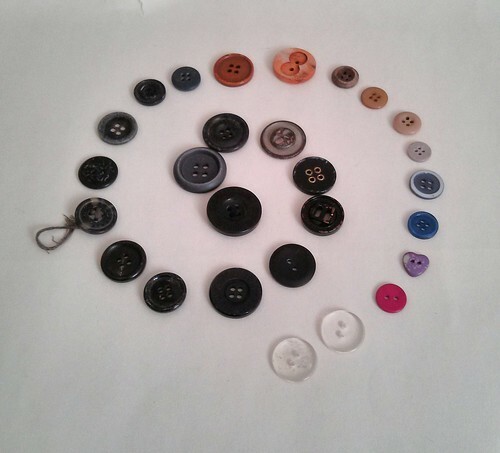 I was not surprised to discover that more than half of the buttons I've found are black. There are 3 metal buttons and 2 wooden ones. The purple heart-shaped one is the only non-circle I've found. Do you collect anything unusual?